Planning a fun 1950s-themed party for your nursing home residents? Check below to find a few activity ideas from notjustbingo that you may want to add to your list of fun activities for the day. 1. Organize a Sock Hop: Encourage residents to dress up for a fun evening of dancing to music from the Fifties. If hiring an entertainer is not an option, just play a 1950s CD and invite residents to show you how to do the Twist, the Hand Jive, and the Bop. 2. Host a Marilyn Monroe Matinee: Set up the television area in your facility to run movies all day highlighting 1950s Hollywood star Marilyn Monroe. Feature several of her classic funny movies like Some Like It Hot (1959), The Seven Year Itch (1955), and How to Marry a Millionaire (1953). Set up bags of popcorn for residents to help themselves as they stop in to watch the actress on the screen. 3. Reminisce About the Good Old Days: Get residents remembering the fun they had cruising in convertibles, growing-out their sideburns, and eating Pez candy. In fact, pass around a few Pez dispensers for residents to reminisce. To get the recollection flowing even more, show residents a DVD about the special events of the era or show a slower-paced DVD that allows residents to stop and recollect while watching the video. 4. 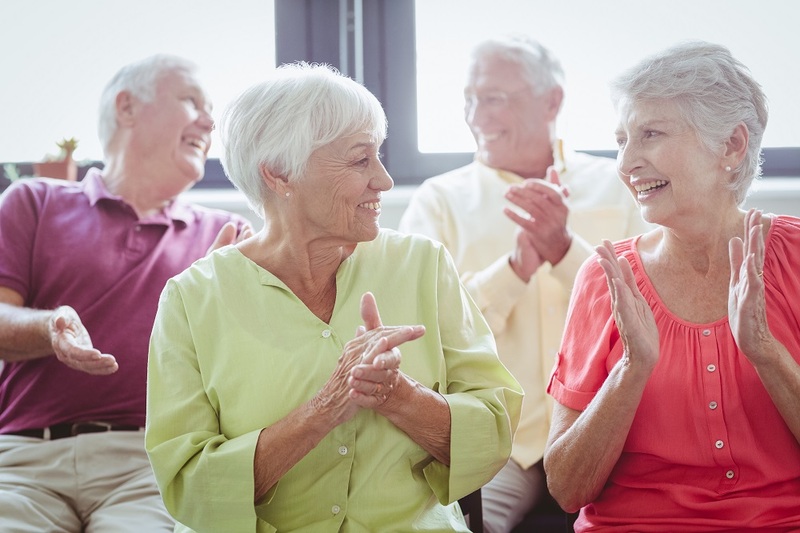 Schedule a 1950s Trivia Night Challenge: Host an after-dinner trivia challenge for your residents – men vs. women – to prove which group has the better memory. Use this Fabulous 50’s DVD to try to stump your residents with fun trivia from the 1950s. 5. Set up a 1950s Bowling League: Turn your Activity Room into a bowling alley with several lanes of bowling pins or even one large inflatable bowling set. Beforehand, divide residents into teams and have the teammates wear a matching item, like red shirts or white scarves. Encourage teams to have fun competing against one another while recalling the competitiveness of their former bowling league days. 6. Audition Potential Carhops: See if your residents have what it takes to be carhops, the popular drive-in waiters and waitresses of the Fifties. As an activity, create a fun exercise relay game to see which team of residents can be the first to deliver a plate of food (a paper plate with a ping pong ball on top) to the other side of the room without dropping it. 7. Surprise Your Bedridden Residents With 1950s Candy: During your room visits, treat your bedridden residents to popular candy from the 1950s, like Root Beer Dum Dum suckers, before showing them a DVD featuring the fads, actors, and musicians of the 1950s. 8. Provide a Crafts Table: Invite your facility’s crafters to make ice cream soda magnets that can be used as party favors for your Fifties theme festivities. 9. 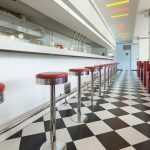 Coordinate a Diner’s Menu: Coordinate with Dining Services to provide a 1950s diner lunch to residents, featuring hamburgers, milkshakes, and onion rings. 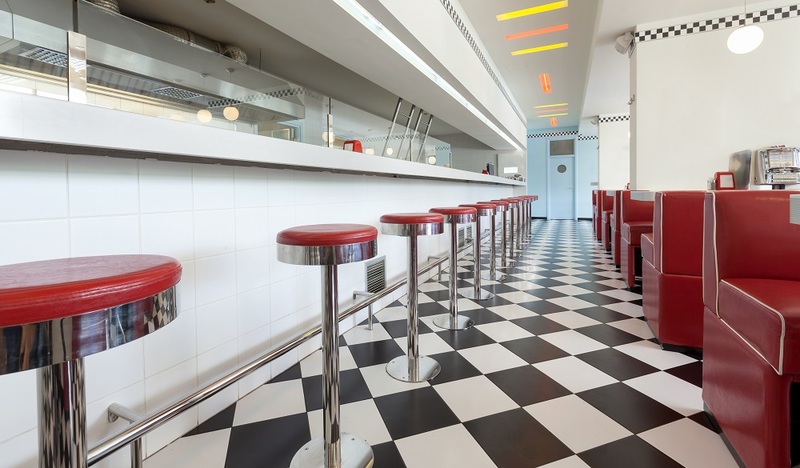 Play music from the era in the background as you encourage residents to have fun recalling their diner-hopping days. 10. Organize a Jukebox Dance-Off: Crank up the jukebox (or the radio) as you invite residents to participate in a dance-off. Simply name a 1950s era dance and encourage residents to show-off their dancing skills. Award prizes to the best dancer for each category. 11. Plan a Rock and Roll Karaoke Night: Play classic songs from the 1950s like Elvis Presley’s Hound Dog (1956) or Buddy Holly’s Peggy Sue (1957) for residents to sing along. 12. Pass Out Hula Hoops: Purchase inexpensive Hula Hoops from your local dollar store and invite residents to participate in a Hula Hoop contest. See if any of the contestants can use two hoops at the same time. 13. Reminisce Online: As a fun one-on-one activity, take your resident online to view photos from the Fifties. Reminisce about the classic hairstyles like the bee hive and the pompadour, about the fun toys like Mr. Potato Head and the yo-yo, and about the unique clothing like the poodle skirt and saddle shoes. 14. 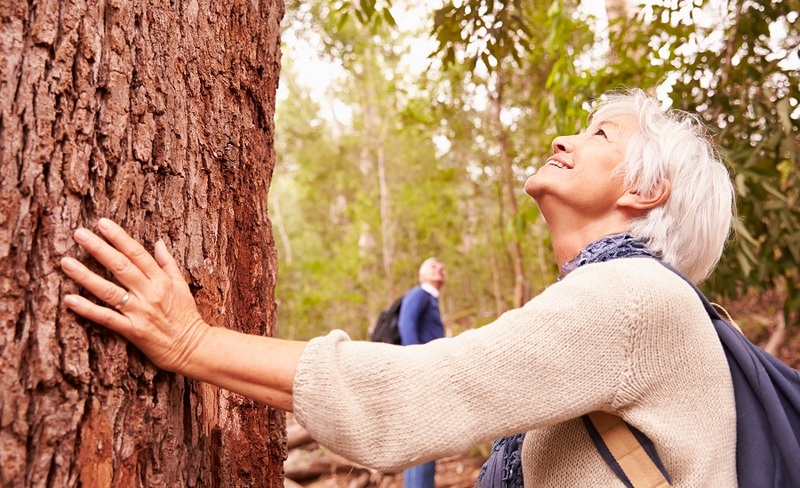 Take a Reminiscing Scenic Drive: Take residents on a reminiscing scenic drive through your town to drive past the local high school or even a few of the childhood homes of your residents. In addition, stop near a Sonic Drive-in to get residents chit chatting about their days of going to drive-in restaurants, or drive past an antiques car dealer for residents to reminisce as they spot popular cars from the Fifties like a Chevy Bel Air or a Pontiac Star Chief. Want even more ideas each month? 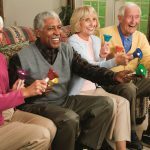 Sign up for the Notjustbingo Membership to receive specialized activity ideas to keep your residents and staff engaged, active, and having fun! 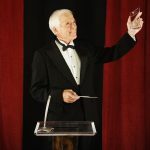 This entry was posted in Senior Activities and tagged 1950 theme, 1950s, activity director, assisted living, carhops, jukebox, karaoke, notjustbingo, nursing home, oldies, retirement home, senior facility, senior residents, seniors, sock hop by notjustbingo.com. Bookmark the permalink. My 14 year old daughter would love this too! !